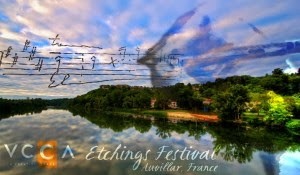 The Etchings Festival, hosted by VCCA and the east Coast Contemporary Ensemble (ECCE), is set in Auvillar, France, between Bordeaux and Toulouse. The Midi-Pyrenees region is secluded and preserved from centuries past. Concerts at the festival take place in a 14thCentury chapel, renovated and acoustically sublime. To find out more visit The Commission page on the VCCA site. January Open House in the News! 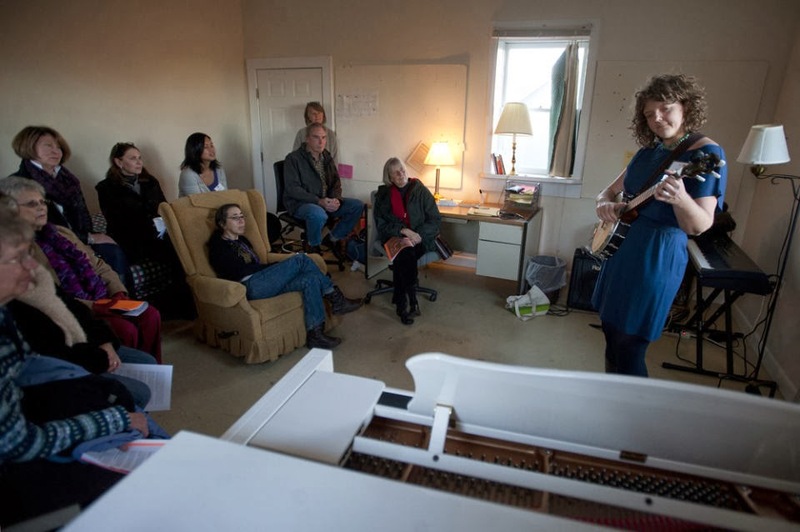 VCCA in the News! 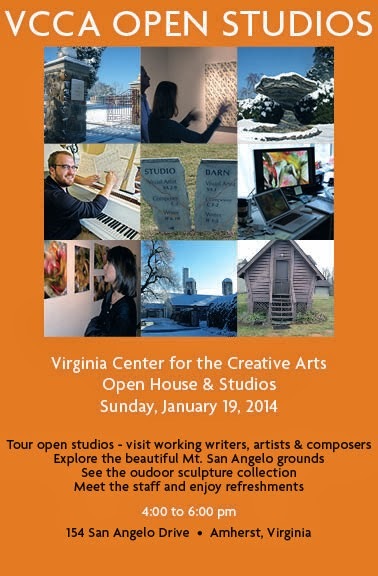 The Lynchburg News & Advance covered VCCA's Open House & Studios event on January 19, 2014. Read the full story here. The Open House was a resounding success, with upwards of 50 visitors coming through, touring the grounds, visiting studios, and enjoying scheduled readings by Fellows. 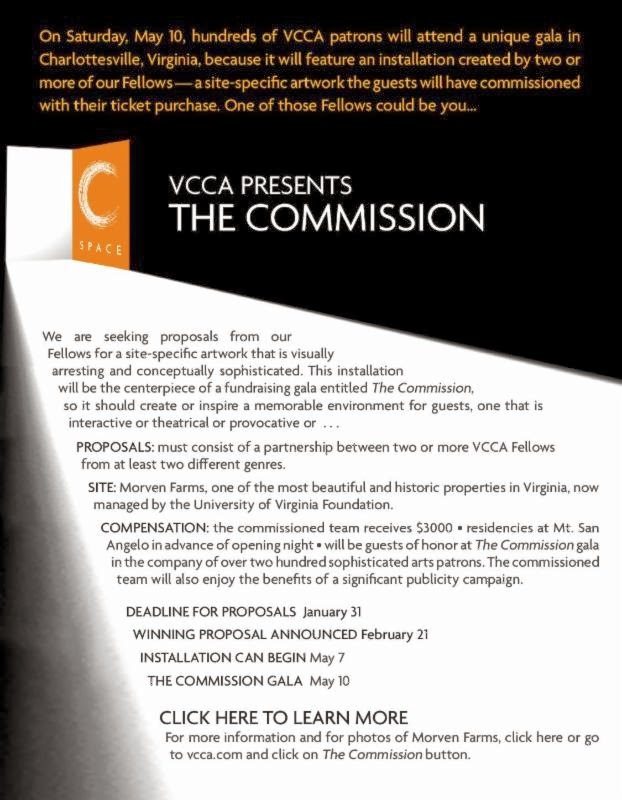 VCCA is interested in work that activates or enhances a portion of the site of The Commission through sound, light, objects, music, words, or in some other way - surprise us! The work could be placed in another context with adaptation so it does not need to be strictly site-specific, but it must integrate in some way with the event venue. This will not be a permanent installation. Projects requiring permanent installations will not be considered.